Pidy is delighted to reveal the eight finalists for the Pidy ‘Revamp the Vol-au-vent’ Student Challenge which has returned for a second year. Pidy would like to congratulate the finalists, who have been chosen amongst students from across the country to attend the live cook-off final on Friday 7th December at the Claire Clark Academy at Milton Keynes College. The eight finalists will compete against one another for the winning title and have their dishes judged by an expert panel, including Claire Clark herself and last year’s winner, Marian Tandy from the University of West London. Milton Keynes College partnered with Claire Clark MBE to create the academy which offers a range of unique patisserie courses where the students can learnspecialist techniques and methods.Earlier this year, Pidy become an official sponsor of the Claire Clark Academy and is delighted to support an initiative that inspires the next generation of great British pastry chefs. Competing in the state of the art pastry kitchen, the eight finalists will have just one hour to demonstrate their culinary skills and present their dish to a panel of judges. The students were challenged to ‘revamp’ the traditional vol-au-vent, using one of the three best-selling Pidy vol-au-vents. The dish has to be a canape, a starter, a main course or a dessert with a street food theme. “It’s great to see the momentum continue to grow this year and we were really impressed by every entry received, which made narrowing down eight finalists extremely challenging. It’s great to see the students have really took the brief on board and pushed their creative and culinary abilities to the max. I’m looking forward to the final and seeing first-hand how the students create their innovative street food inspired vol-au-vents! 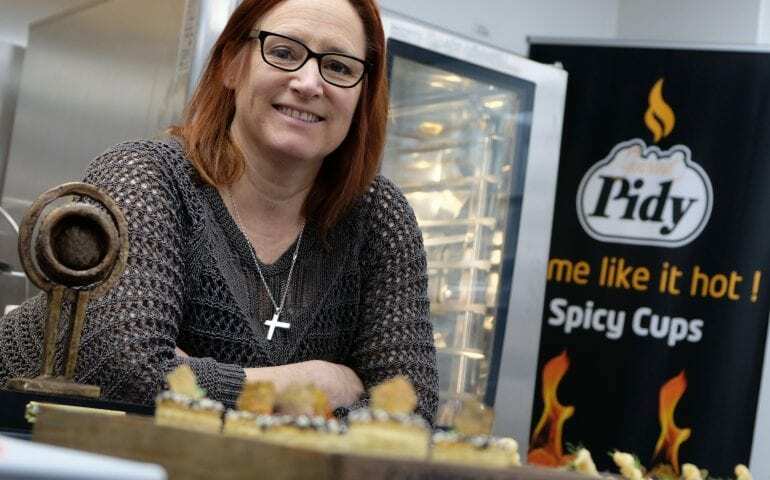 The “Pidy ‘Revamp the Vol-au-vent’ Student Challenge”waslaunched to support Pidy products and created specifically with catering students in mind. For further information please email pidycomp@rlpltd.co.uk. For more information on the Pidy range, please visit www.pidyuk.comor call 01604 705666.